Berglund missed the Sabres' past two games, reportedly due to illness, and was not expected to be in the lineup for Saturday's game against the Washington Capitals. Buffalo announced prior to the match the Olympic silver medallist has been stood down. 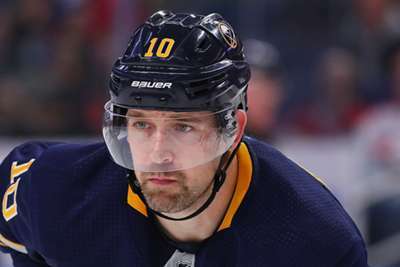 "The Buffalo Sabres today announced that forward Patrik Berglund has been suspended indefinitely by the organisation due to failure to report to the team. There will be no further information or comment at this time," a statement read. Berglund, in his first season with the Sabres, has two goals and two assists and is minus-five in 23 games. He was acquired in July in a blockbuster trade that sent center Ryan O'Reilly to the St Louis Blues. Along with Berglund, Buffalo received forwards Vladimir Sobotka and Tage Thompson and two high draft picks. The 30-year-old, a three-time 20-goal scorer with the Blues, was expected to provide offensive punch but has contributed little to the Sabres' revitalisation this season. Berglund is in the second season of a five-year contract with a $3.85million average annual value.